How is your lab different than others? The key to our success is our goal of efficient, friendly, and approachable service. Biotech is a custom orthotic manufacturer in every sense of the word. 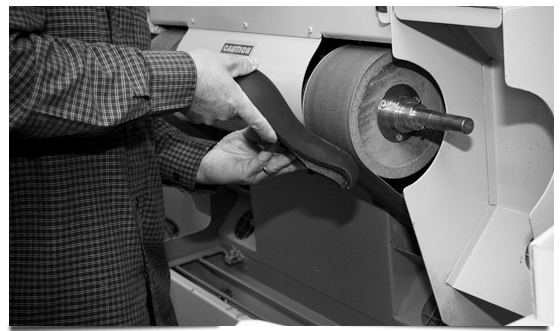 If you can order it, we can build it; we continuously update our Clinician Preference Profile Catalogue (C.P.P.C), and this allows us to manufacture orthotics for numerous clinics while maintaining specific preferences. Manufacturing a wide range gives us an invaluable insight into orthotic therapy options and ideas. What type of orthotics do you make? Biotech offers a wide range of custom foot orthoses, from accommodative to functional; Diabetic, Sport, Dress, Fashion, and a variety of everyday use. We are not limited to this popular collection, because as a custom lab we are enthusiastic about new ideas and work closely with our clinicians on more challenging projects. Our methods combine new technologies with traditional process options, which allows us the ability to manufacture a true custom product. Your slipper or foam casts are scanned to create a digital three dimensional positive cast. Alternatively, you can send scans directly to us using our online order form. Our custom orthotics can also be hand made from plaster positive 3 dimensional casts as indicated. This gives the clinician as much control as desired over cast modification by requesting specific arch fills, expansions, or reductions based on individual requirements. Various materials are thermomolded to the MDF or plaster positive casts, and our technicians hand grind the orthoses based on clinician’s posting and shell modification instruction. Accommodations and top covers are then applied before finishing, cleaning and two quality control checks are completed. Our posting can be done intrinsically, extrinsically or a combination of the two. Once we establish a clinician preference profile your requirements can be applied to your orders. We intrinsically post our orthotics resulting in a balanced product unless otherwise specified. See our manufacturing slide show on the welcome page. Our data base tracking system ensures a maximum of 5 in lab business day turnaround time during busy times. Our average turnaround time is between 2-3 business days. Rush orders are available at a cost of $25.00 and are shipped within 3 days, with the average rush being completed in 1-2 days. Adjustments and refurbishments are a priority and done within 1 to 2 working days. How do Biotech prices compare to other labs? Biotech’s orthotic prices may surprise you considering our product quality, certified technical expertise, superior administration systems, and service. All of our custom orthotics include posting (intrinsic or extrinsic) top and bottom covers, shell modifications and up to three accommodations for one fair price. Our bodi line has been developed as an economical custom orthotic product line that covers basic models, accommodations and modifications for those patients and clinicians that may not require the infinite array of options to satisfy their needs. This line is manufactured with the same true custom methods and quality as our full Advantage product line; however, the simplified order form and options streamline the process cutting costs that are simply passed on to you. Take advantage of our second pair discounts, quantity discounts and subsidized shipping to make your orders even more economical.